Today: Looks like it should be a solid day at Little Sable Point and Pt Betsie with a southerly flow and the sun out. I’d say around 20 knots most of the afternoon. Saturday: Looks like heavy cloud cover but there is going to be a south wind, just not very much. 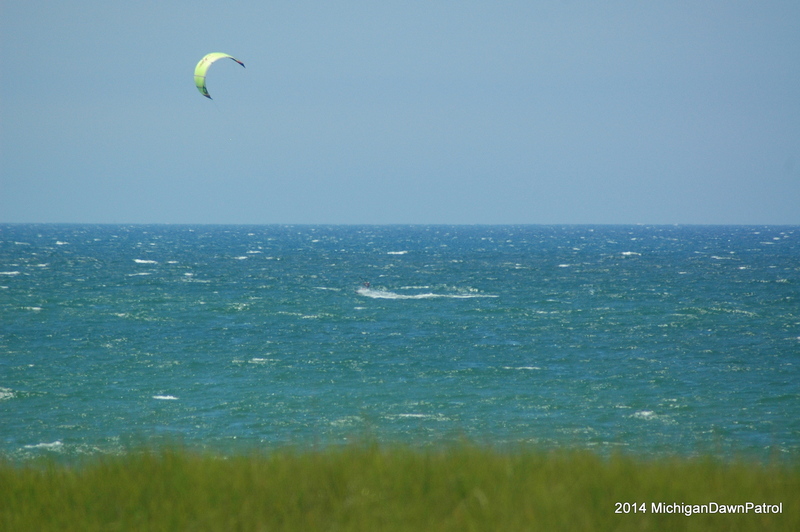 I think there should be enough for a big kite light wind session from Muskegon north. Sunday: As the rain moves through and the sun comes out in the afternoon, I think there will be enough wind for another light wind session from Muskegon north, with a SW wind. The windiest is looking like Little Sable to Pentwater. I’m going to have to check in during the weekend to update what I think. Saturday or Sunday look like they could go either way. Not looking good today and the forecast for tomorrow came down as well. I will be going to GR today. Expect it to get sunny and windy as soon as I get in the car. Well I was wrong yesterday, it ended up being windy between the rain. Enough for a decent session in Muskegon. Today looks just a tad light out of the West. However, it’s probably worth monitoring the wind meters in case it picks up more. I used to live in Michigan around Silver Lake 7 years back and have since started to Kitesurf. I am coming for a 2 week visit in September from Europe and was wondering whether you reckon its worth to bring my equipment with me? In other words, how many sessions do you think I could get in in September? Also, in case there is wind, are there always Kiters around or would I have to self-launch etc. ?